This set allowed a number of "automated" models to be built. All relied on input from the PhotoCell. I thought it would be an interesting exercise to build some of the models, using the MotorVator in place of the Meccano Relay Box. LDRs are readily available from hobby electronics shops. 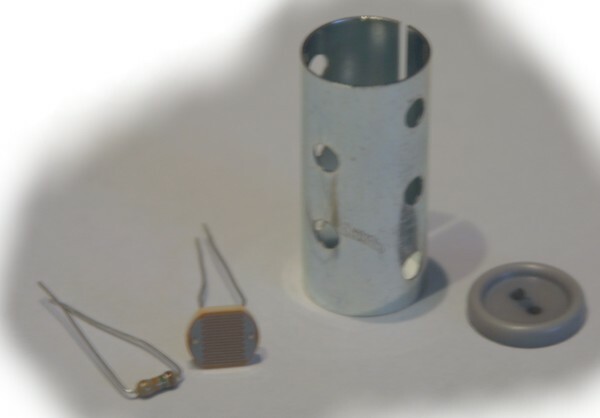 The value of the Resistor should roughly match the "Dark Resistance" of the LDR. 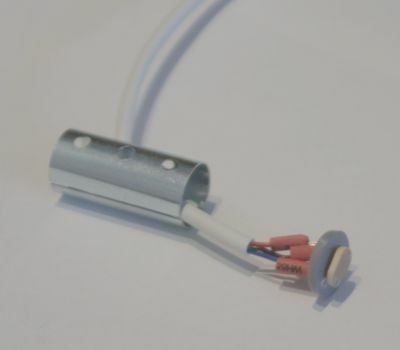 Find a button of suitable diameter to be a neat fit inside the sleeve (colour not important), drill to take the LDR leads, then solder the connections behind the button. Route the wires out of the side hole and slide the assembly into the Sleeve. Secure with silicon or similar. Fit a sleeve of dark paper inside the sleeve. 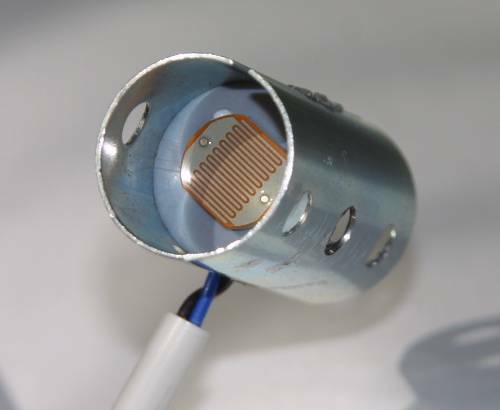 To use the sensor, simply connect to an analogue port and read the value. e.g. You'll need to work out a suitable threshold value for your light source and ambient light. Given that ambient light changes, to avoid having to make changes in your program I'd suggest using another Analogue Input with a simple potentiometer, to set your threshold. A 10K ohm potentiometer should work fine. This way you can adjust it while the program is running, to get the trigger point that you want. For the light source, I suggest using the head assembly from a small torch.